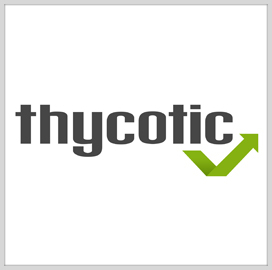 Thycotic has named Kathy Moore — former chief financial officer at Allied Telecom Group — as CFO and A.J. Narula — former federal sales director at AppAssure Software — as executive director of federal sales. The privileged account management services provider said Monday Moore will oversee the company’s financial team, operations and strategy and report directly to CEO James Legg. “Kathy’s previous experience as CFO in the software industry gives us the utmost confidence regarding her strong leadership and deep financial expertise, ” said Legg. “A.J. brings more than two decades of technology sales experience – making his abilities ideal for directing our team through this constantly-evolving federal security market, ” he added. Moore is a 20-year veteran of the telecommunications, software and cloud computing industries and held leadership roles over strategic planning, business analysis and financial operations functions. She also held executive roles at Razorsight, Wisor Telecom and Innovectra. Narula became federal sales director at Dell after it acquired AppAssure to form the Dell software group.